Sigiriya which is one of the most valuable historical monuments of Sri Lanka with locals referring to it as the Eighth Wonder of the World is under threat because of human activities. This ancient palace and fortress complex has significant archaeological importance and attracts thousands of tourists every year. 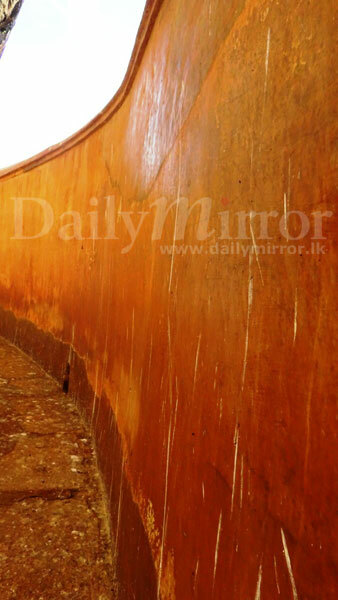 The appearance of cracks on some of the frescoes, signals an imminent danger to this world heritage site. 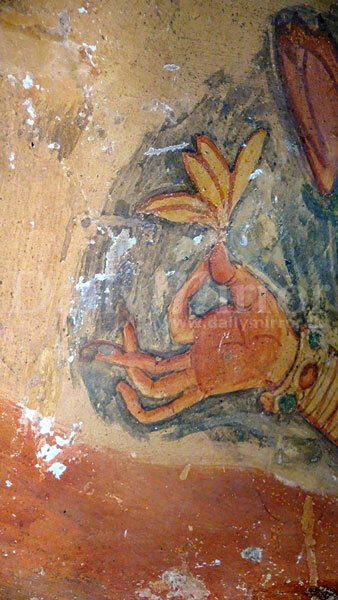 In certain frescoes the original paint appears to be peeling off. 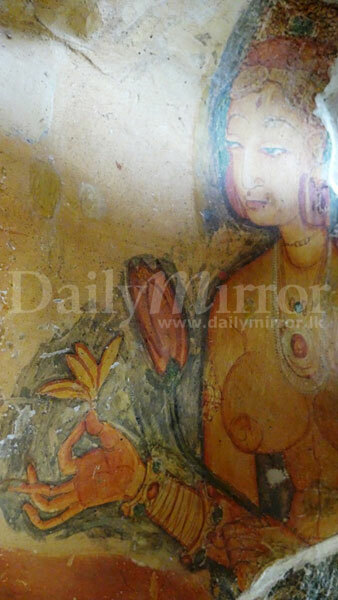 This is more evident in a fresco which was not subject to the waste oil attack some time back. The Mirror wall is constantly subject to droppings of the swallows who nest inside the caves of the rock fortress. Making matters worse the large number of visitors who flock to this site walk on the ancient brick walls flouting the many prohibition notices put up within the site for preservation of this site. The use of powerful flash lights from the highly sophisticated cameras by both local and foreign visitors at the gallery of the frescoes continues regardless despite the inconvenience to those who visit the site to view the frescoes admiring its beauty and texture. Attempts by the security guards of the Archaeology Department has become futile. Incidents of misbehaviour by people under the influence of liquor had also being a major concern for the security personnel. It appears that the security provided at this site is inadequate leaving much to be desired. The authorities seems to be only concerned with the issue of admission tickets and checking them and not delegating responsibility in maintaining this historical site . 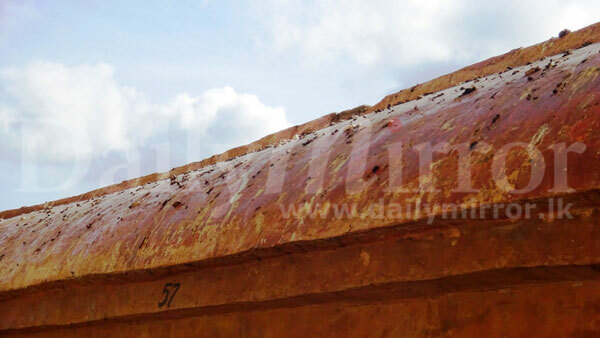 Attempts to contact the Archaeology Director General Dr. Senarath Dissanayake and the Sigiriya Project Manager had been unsuccessful. 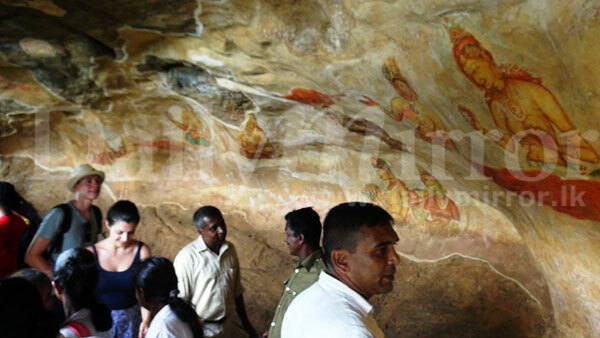 Why only Sigiriya?The whole of Sri Lanka is under threat by the politicians. 25 dollars from each foreign tourist but where does these monies go? Use it to protect the site and upgrade the facilities without crying through your nose!!! I can imagine how a place like this might be maintained in a developed country. 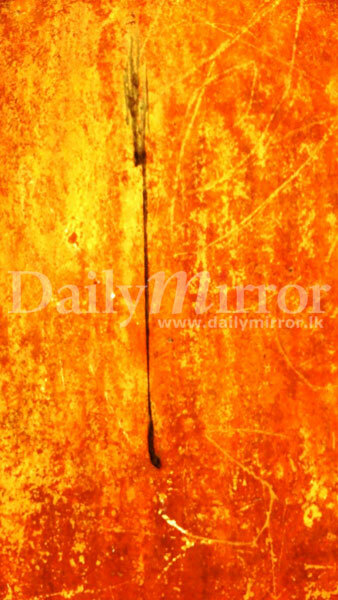 But in Sri Lanka these are sadly neglected and whatever the money they collect do not seem to go into preservation and maintenance of these invaluable cultural treasures. We will see every good thing continued to be ruined until it is no more and then we will continue to ruin ourselves as there will be nothing else to ruin. 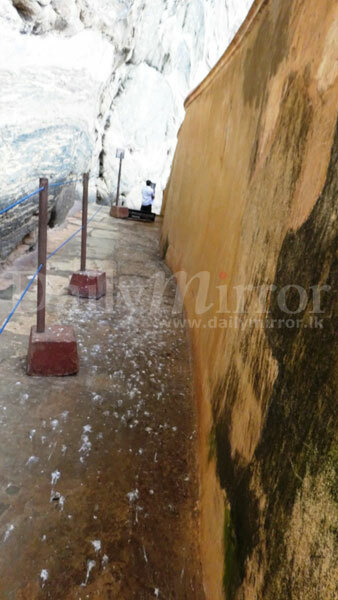 The so called local tourist and "proud to be Sri Lanka" types are cause of much of the damage to this and several other historical sites in Sri Lanka. The foreigners who visit these site are a lot more careful and respectful (other than for some isolated incidents in the past) to our own Historical sites. Why what is the minister doing? We typical irresponsible Sri Lankans! Sad! If you are aware then take action,not wasting time.